NEAR MISS: A red Holden overtakes three cyclists Saturday morning in Rockhampton, almost knocking one rider off his bike. A NEAR miss between a driver and group of cyclists has caused an uproar on social media. 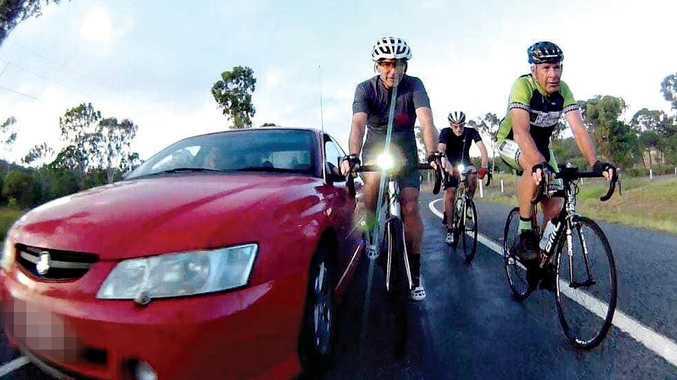 Bicycle Queensland posted a photo of a red Holden overtaking, at minimum, three cyclists and almost scraping the cyclist on the right. The incident is said to have happened on a Rockhampton road about 6.20am Saturday morning, February 9. Bicycle Queensland's Facebook post of the incident received a mixed reaction on social media, with the post having more than 2,300 comments and 367 shares. Included in the comments were people expressing their disgust at the driver, while others said there needed to be more education on the road rules when sharing the road with bicycle riders. Bicycle Queensland also commented they were under attack by social media trolls sharing their post to hate pages. Under Queensland Government law for drivers passing bicycle riders, motorists must stay wider of bicycle riders by giving a minimum of one metre when passing a rider in a 60km/h or less speed zone or 1.5m where the speed limit is over 60km/h. According to Bicycle Queensland, the driver was allegedly charged with an unspecified offence about 10am Saturday, February 9. Rockhampton Police Station could not confirm whether anyone had been charged in relation to the matter. CEO of Bicycle Queensland Anne Savage said the incident involved an early morning group ride and all riders were obeying the law and riding courteously. "The video, captured on cycle camera, shows that the driver had ample overtaking room to cross into the next lane safely, with no other vehicles approaching,” she said. "The position of the cyclists on the road reflects the poor and inconsistent condition of the road shoulder, which is badly cracked in parts and strewn with glass and gravel - conditions which make it unsafe for cycling. "It was gross negligence for the driver not to pass wider of these riders. "The cyclists were badly shaken by the incident and so easily could have been killed. 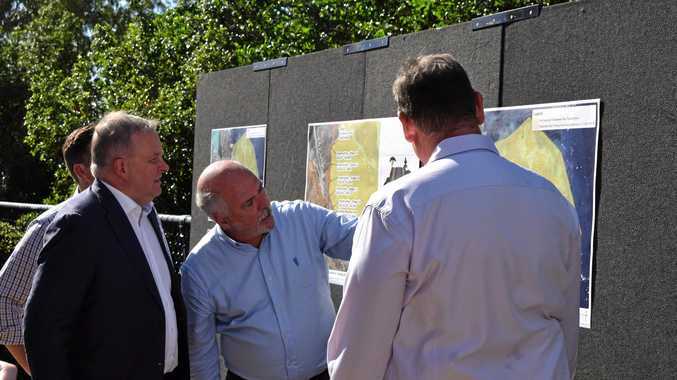 "Bicycle Queensland will be speaking to the Ministers for Transport and Police this week.